New games release on Xbox One every week and it can be difficult keeping track of them all, especially during the fall when so many blockbuster AAA titles are taking up people’s attention with their heavy-hitting marketing campaigns. Some of the games reviewed this week you may not have even heard of. This time, we are taking a look at Bush Hockey League, Cat Quest, and Stick it to the Man! For all of you older hockey fans out there, you may be interested in Bush Hockey League. The game looks and plays like a retro sports title, and this is either a selling point or a huge turn off. If you grew up playing similar games as a kid, you may enjoy Bush Hockey League for its nostalgia. But for everyone else, I’d give it a pass. There are options for retro controls and modes that don’t follow normal hockey rules (like icings and offsides), but even though it tries to be accessible to more players with this variety of control schemes, it just isn’t that fun no matter how you play it. 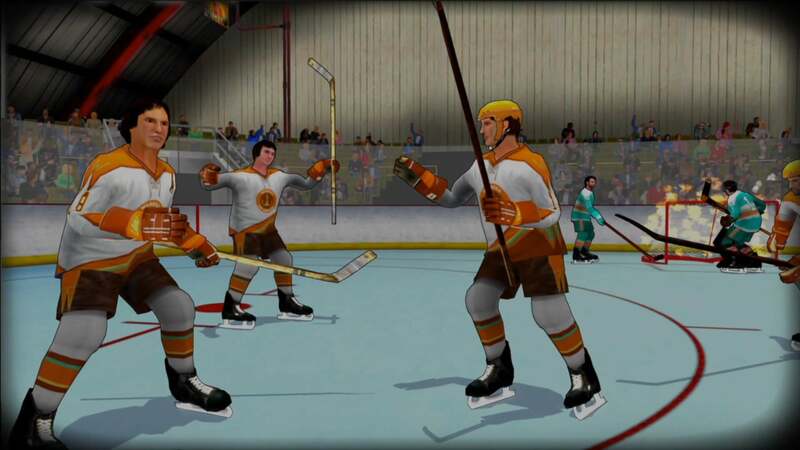 The gameplay, both skating and puck maneuvering, feel slow and as if there is slight input lag. If you want to play a hockey game, you’re better off getting a game designed for 2017. 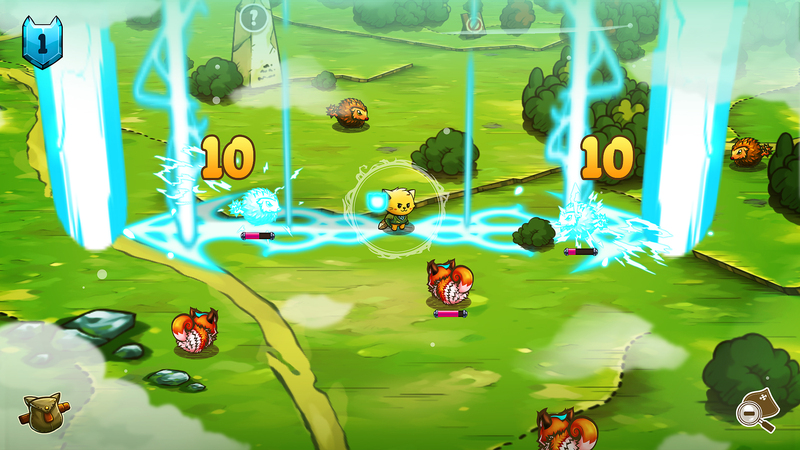 Cat Quest is a child-friendly open world RPG that was originally designed as a mobile iOS title. Because of this, you’ll find it runs well on almost any computer you try to play it on, even my old laptop that isn’t meant for gaming. The graphics are what you’d expect from this type of game. They’re vivid, cartoony, and look perfectly suited for a cellphone screen. The combat isn’t too difficult which makes it great for kids, but it can still provide enough of a challenge if that’s what you are looking for. Be prepared for a ton of cat puns as well, because almost everywhere you go you will encounter at least one. It’s hard to find fault in the game given what it sets out to achieve. It’s a charming adventure with good controls, an adequate customization system, and a few (a lot) of cat jokes. Stick it to the Man! first released on Xbox One over three years ago, and while it just came to Nintendo Switch recently, this review will discuss the Xbox One version for our readers at MSPU. If I had to describe Stick it to the Man! to someone unfamiliar with it, I’d say that it reminds me of those older shows on Cartoon Network like Ren & Stimpy or Cow and Chicken. They’re bizarre, surreal, and you wouldn’t be faulted for thinking the creators were at least a little bit high when writing them. You can say the same of Stick it to the Man!. This side-scrolling platformer would fit in well with these cartoons with its visual design emulating a world made of paper, cardboard, and stickers. After an accident that somehow makes this world even stranger, your character wakes up with a weird pink spaghetti hand apparatus sticking out of his brain, like those cheap toys you’d get from one of those 25 cent machines outside of a supermarket. This is what’s used to traverse the environment. The platforming and controls feel good and the atmosphere that Stick it to the Man! exudes is just so wacky that you can’t help but feel drawn into it. Bush Hockey League is by far the weakest of the bunch this time. Cat Quest and Stick it to the Man! offer vastly different experiences, but both are good games in their own right, it just depends on your tastes. If any of these look interesting to you, give them a shot.